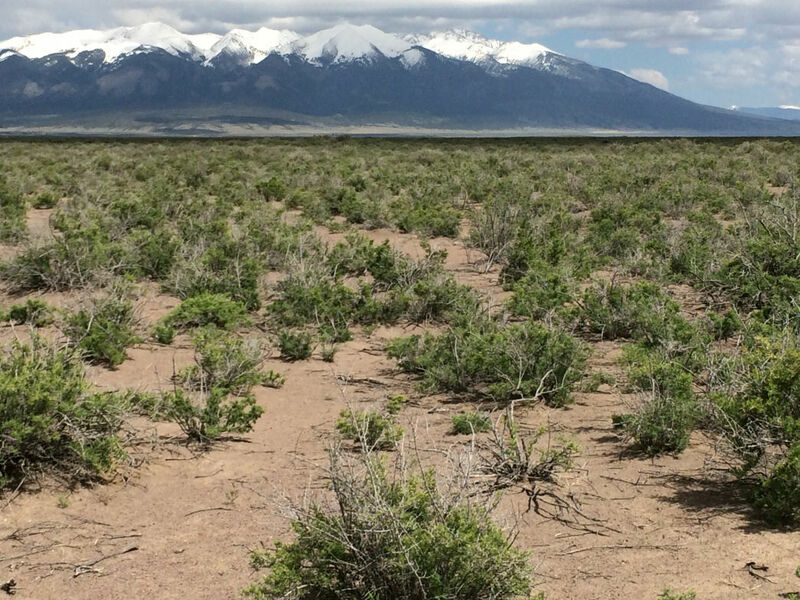 Few Colorado landscapes are imbued with as much history as the San Luis Valley. The area has been inhabited for more than 10,000 years, first by Native Americans, and later by Spanish settlers. It’s been the setting for tons of famous expeditions, including those led by notable (and notorious) names like Don Juan Bautista de Anza and John C. Fremont. In addition to its rich cultural history, the San Luis Valley also played a key role in railroad transportation in Colorado, it boasts a vibrant agricultural scene, and it was home to some of the territory’s earliest military outposts. For history buffs, there’s no better way to take in the valley than with a tour of these eight museums. Begin your San Luis Valley museum tour in Creede, whose colorful history (including outlaws, relatives of Kit Carson, and the assassination of Jesse James’ killer) is worth a trip unto itself. The Underground Mining Museum doesn’t just house exhibits dedicated to mining: the museum and community center are actually underground. Construction began in 1990, and two years later, most of its displays were set up. The Underground Mining Museum has real mining equipment, and its exhibits demonstrate the techniques historically used to mine silver in the area. Next up: From Creede, take CO-149 south to South Fork, where you’ll hang a left onto US-160 E. Your next stop will be on the right as you enter Monte Vista. Spanish for "mountain view," Monte Vista is true to its name. It was also once a pit stop on the route of the Denver and Rio Grande Western Railroad, so it’s the perfect spot for a museum devoted to transportation methods of the American West. The Transportations of the West Museum includes the San Luis Valley’s early modes of transport (think horse and buggy), plus late 19th-century railroad paraphernalia and methods used for farming and recreation. Tons of captioned photographs help to provide context for this integral part of the valley’s history. Next up: Head east toward US-160, which turns into US-285. Follow 285 to Alamosa, where you’ll find your next destination on the Adams State University campus. Edward M. Ryan Geology Museum takes history to a whole new level: It’s filled with more than 5,000 fossil and mineral specimens, all donated from the personal collection of the museum’s namesake, Professor Ryan. Like much of western Colorado, the San Luis Valley is teeming with evidence of ancient life, and the Ryan Museum is home to many of its finest specimens. Opened in 2004, the museum features a 165-pound Peruvian pyrite cluster, raptor claws, and exceptional trilobite fossils, among many others. Next up: This is a quick one. Head east on 3rd Avenue for a little over half a mile, then take a right onto Hunt Avenue. The next stop is at the intersection of 4th and Hunt. San Luis Valley Museum is a gem, showcasing the many facets of the region’s history. Its educational displays include photos, artifacts, antiques, and collectible items from many of the San Luis Valley’s most important historical periods, from its early inhabitants to Spanish settlement to its Japanese-American history. The museum also archives some of the area’s more contemporary background, including its military history, railroads, and agricultural scene. There’s also a model US Post Office, a schoolroom, and an exploration of early mercantiles and general stores in the area. Next up: From Alamosa, head east on US-160 until it meets CO-159 S. Take a right in Fort Garland. Your next stop is on the right immediately after the turn. Commanded by celebrated frontiersman Colonel Kit Carson, Fort Garland once had a garrison of about 100 men sworn to protect the San Luis Valley’s early settlers. Today, the Fort Garland Museum (restored and opened in 1950) is administered by History Colorado, and many of its original buildings have been preserved. Reconstructions include the adobe Commandant’s quarters, once inhabited by Carson and his wife, as well as cavalry barracks, historic dioramas, and an exhibit on the Buffalo Soldiers. Next up: Head south on CO-159, then take a right on County Road P just after San Luis. County P turns into CO-142 west; follow it to Manassa, where your destination is on the left. 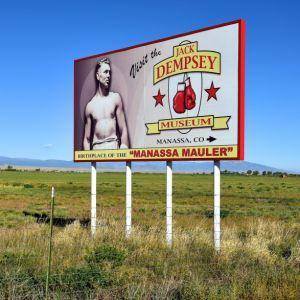 Champion heavyweight boxer Jack Dempsey, also known as "The Manassa Mauler," is among the most famous hometown heros in the San Luis Valley, and a museum in his birthplace cabin was dedicated in 1966. He reigned as the heavyweight world champion for seven years in the 1920s, during which time he was a cultural icon. 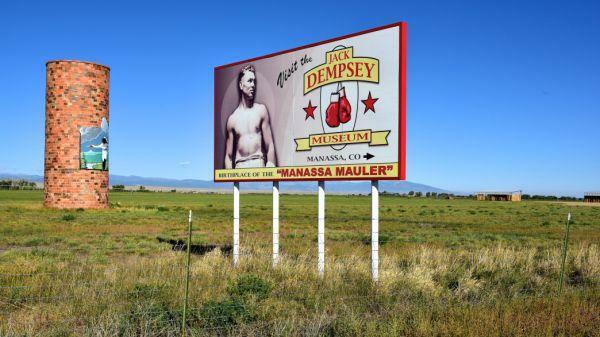 The museum houses tons of historical photos of Dempsey, plus a pair of his gloves, and the park contains a statue in his likeness. Next up: From Manassa, take CO-142 west to US-285, where you’ll head south (left) to Antonito. Your next stop is on the south side of town on the left of the highway. Tiny Antonito, Colorado, was once a sheepherding camp at the junction of the Conejos and San Antonio Rivers. It’s home to one terminus of the Cumbres & Toltec Scenic Railroad, as well as the Conejos County Museum, which has a huge range of historical artifacts. It features a wildlife exhibit with taxidermied mounts, a original steam-powered printing press, and a painting of Jose Celedon Valdez, who petitioned the Mexican government in 1833 for the land where Conejos County now sits, accompanied by the original land grant. Next up: For the last stop on the tour, head north on US-285 back to Alamosa, where you’ll hang a right onto 6th Street. The destination is at 6th and State Avenue. Alamosa was built as a railroad town, and there’s no better way to learn about its heritage than with a trip on the Rio Grande Scenic Railroad. Trains still depart from the original depot in downtown Alamosa and head up to gorgeous La Veta Pass, heading through several other historic San Luis Valley destinations, including Fort Garland, along the way. During the ride, guides regale passengers with stories of railroad and mining history in the area.